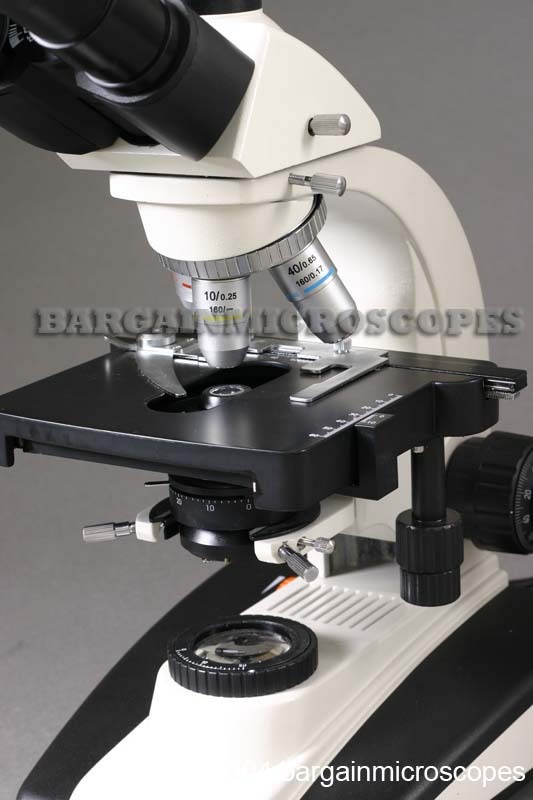 High Quality Professional Compound Trinocular Microscope! 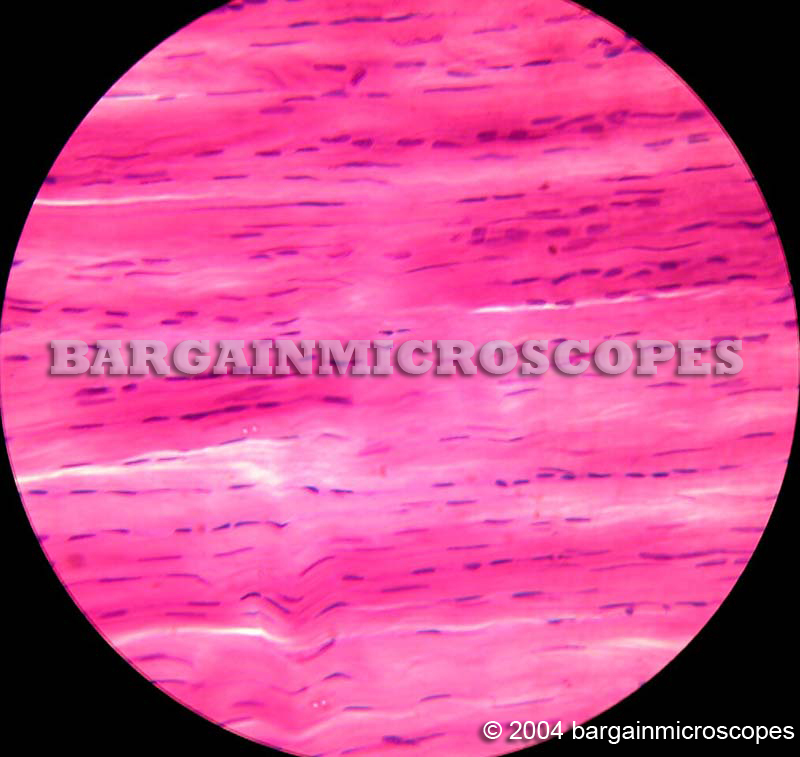 Great for Doctors, Veterinarians, Breeders, Medical Students, Schools, Scientists, Research Labs. Compare to Similar Units costing $2000+ with name brands! 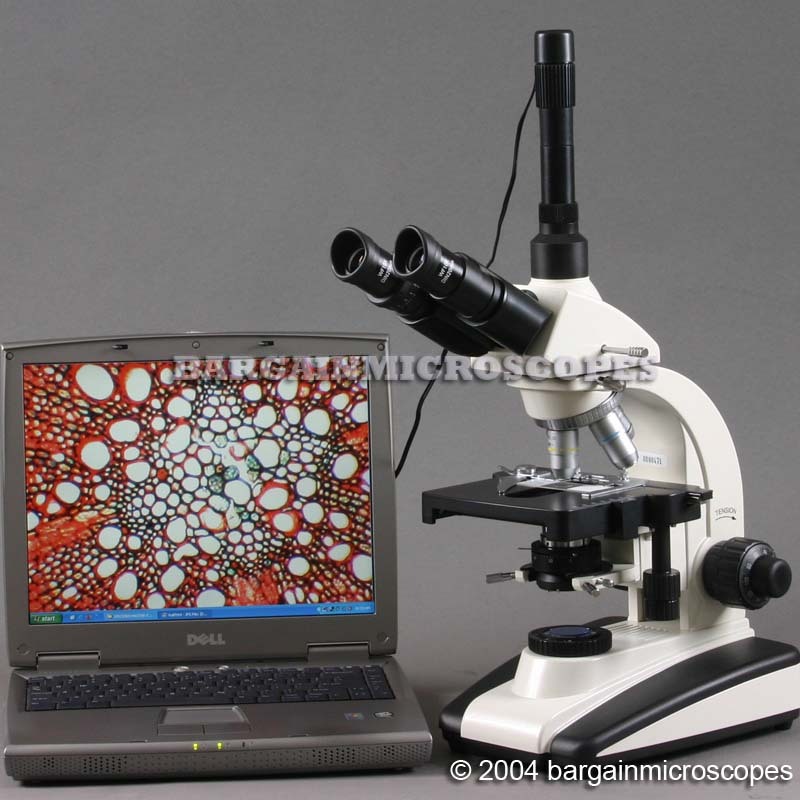 Ability to capture digital images with included microscope camera. Connect via USB port. 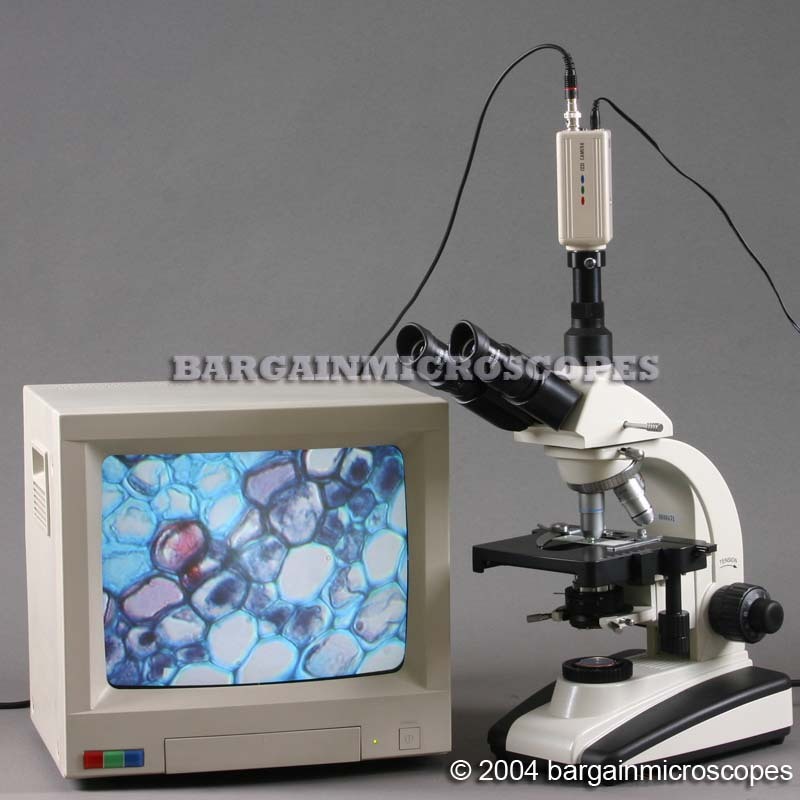 Picture shows microscope camera. Actual shipped camera may look different. Unique Ability to have image in both oculars and photography port simultaneously. This is perfect for training as the binocular eyepieces can be viewed by the Instructor, and students can watch the viewing screen. 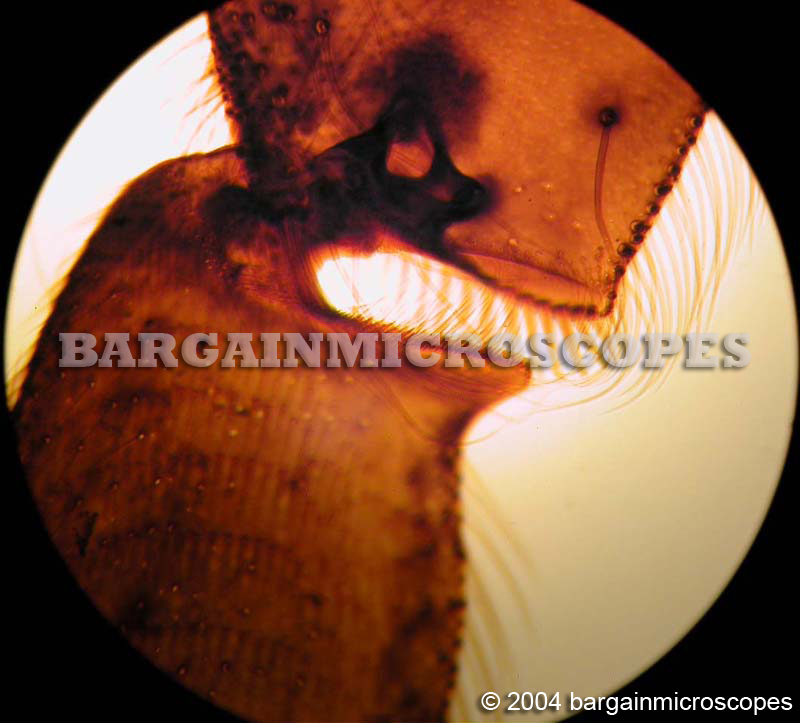 Most trinocular microscopes lose light in one ocular when light is diverted to the photography port. 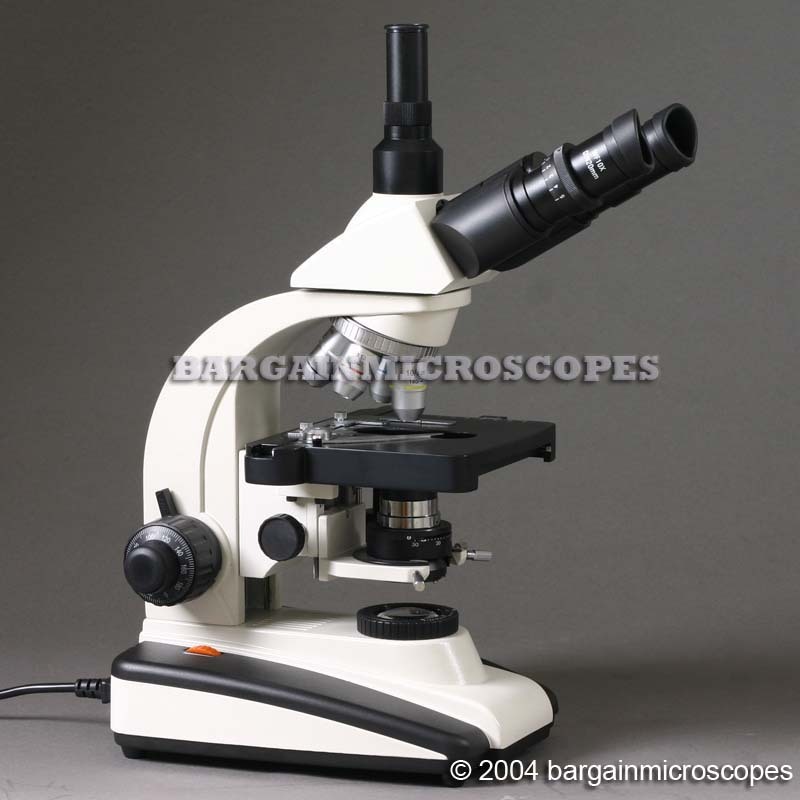 This microscope has the ability for 100% of light in both oculars, or divert light and get 20% light in oculars and 80% in trinocular. 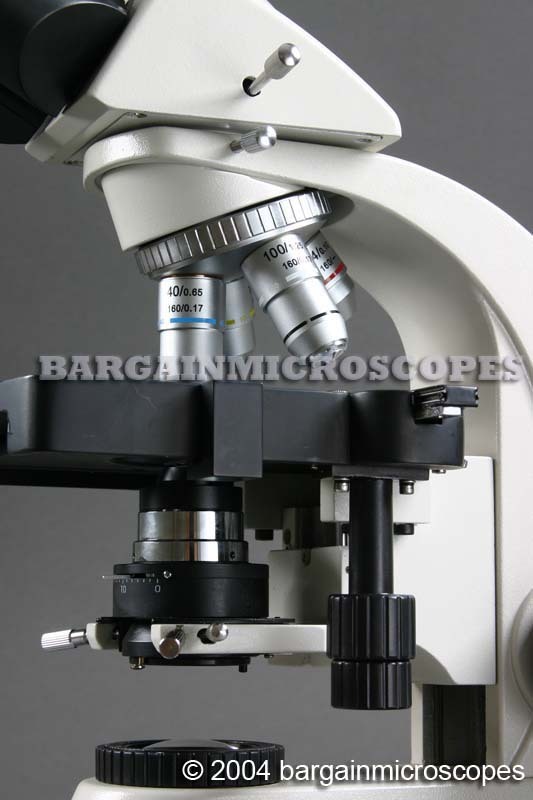 Features 30mm eyepiece ocular tubes! 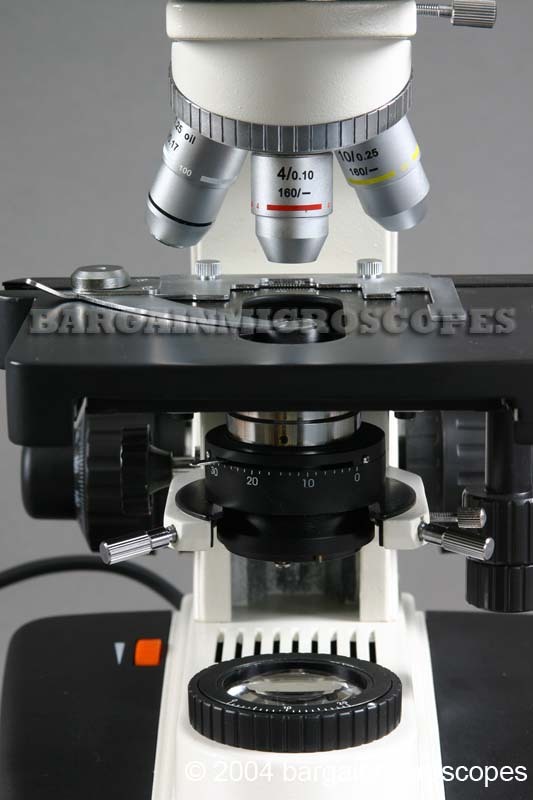 Most compound microscopes are 23mm. 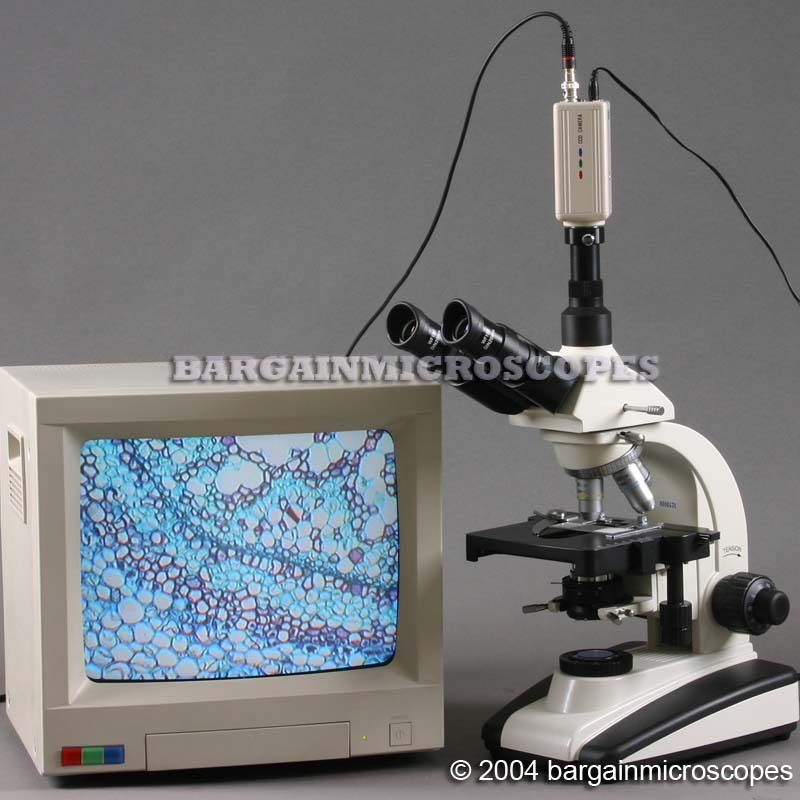 The larger size allows for less eye strain, much easier viewing, and a larger and better quality image! 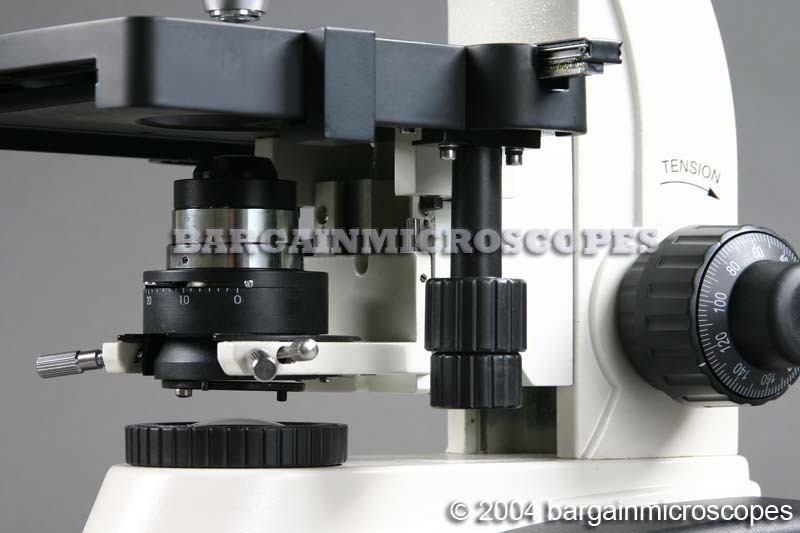 After looking into these awesome eyepieces, you would never want a smaller 23mm ocular! 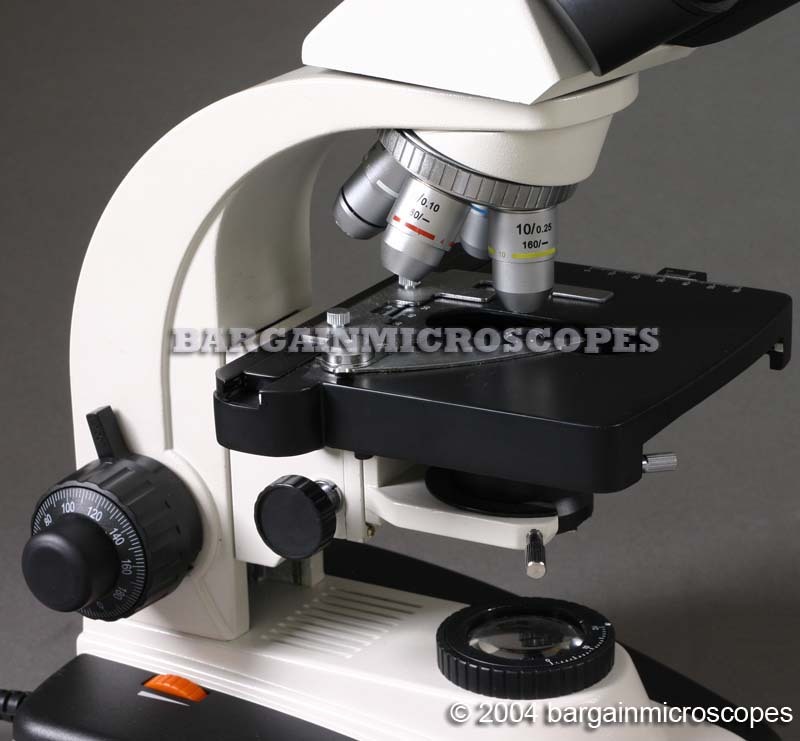 Before buying a different scope, ask if it has the cheap 23mm oculars! 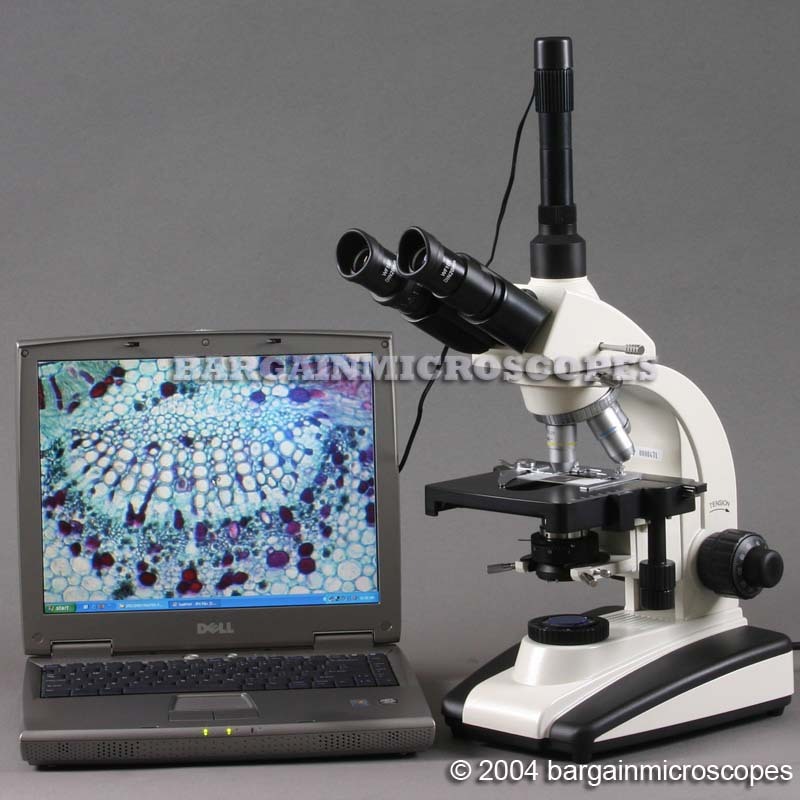 FREE BONUS: Traveling / carrying case is included so you can travel with your microscope. This is a great accessory for students who want to bring to the classroom. It also provides and excellent method of storing the instrument. Perfect for those applications requiring transporting the unit. Eight Magnifications: 40x, 64x, 100x, 160x, 400x, 640x, 1000x, and 1600x. 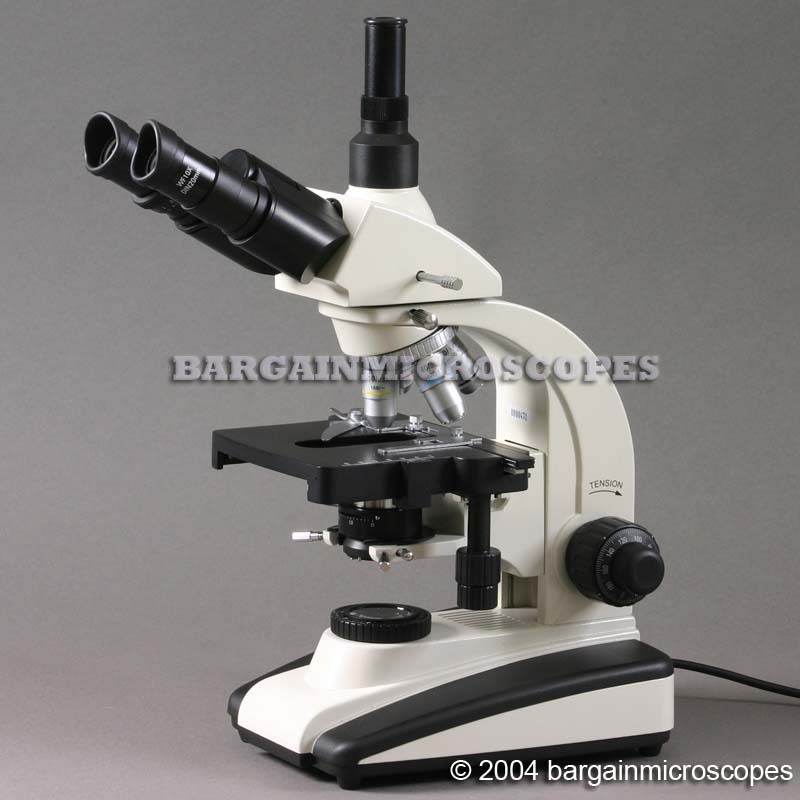 Two Eyepiece Sets Included: Wide Field 10x and 16x. 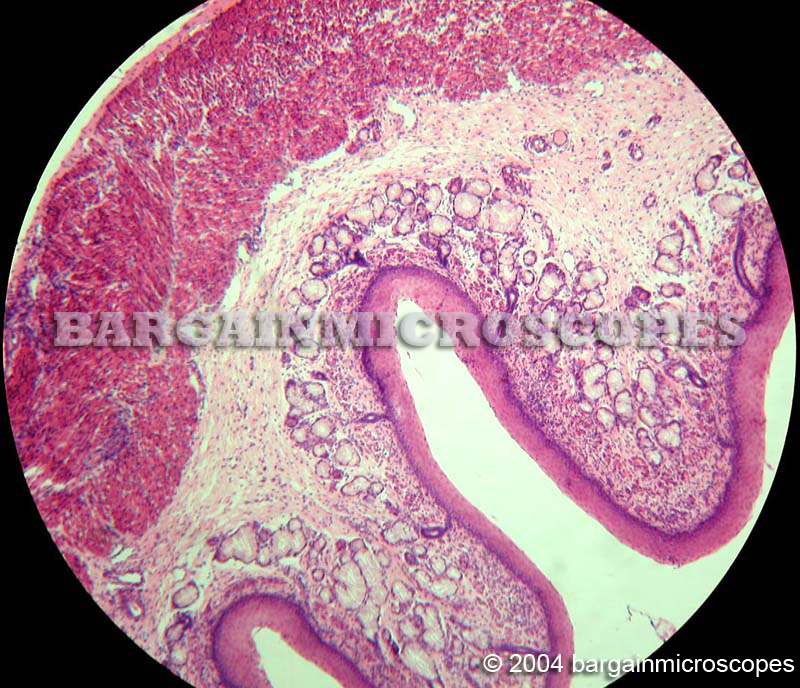 Larger 30mm diameter ocular size. Four DIN Objectives: 4x, 10x, 40x, 100x (Oil Immersion). Reverse Facing Quadruple Nosepiece! A Better Design that allows Easier Access to the Slides since Objectives are Pointed Out of the Way! High Wattage Variable Intensity 30W Tungsten Halogen Transmitted Base Illumination. If you find a cheaper scope, ask if it is made to accomodate the higher wattage 30W bulbs that provide a Brighter Image. 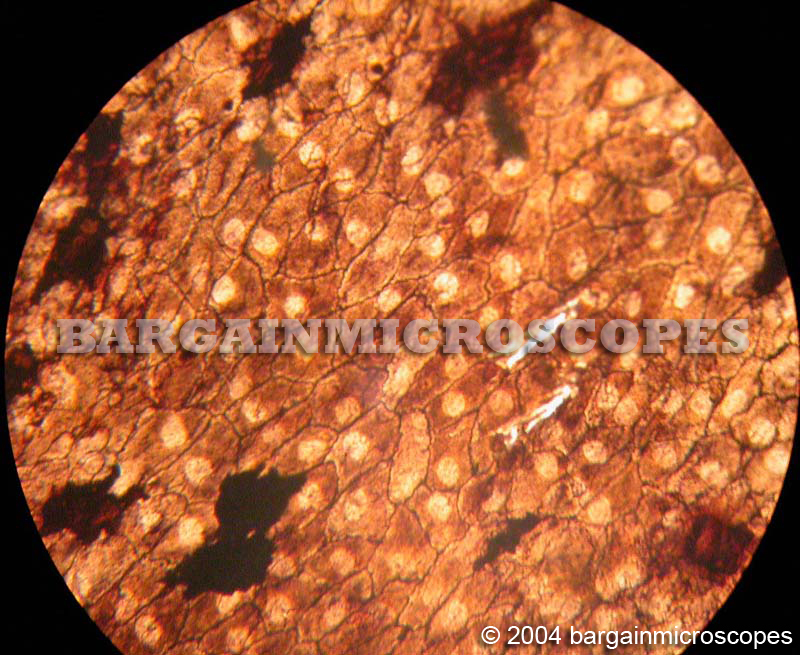 It is Important for Regular Brightfield work and Essential for Phase Contrast and Darkfield. Koehler is Important for Regular Brightfield Work and Essential for Phase Contrast and Darkfield. 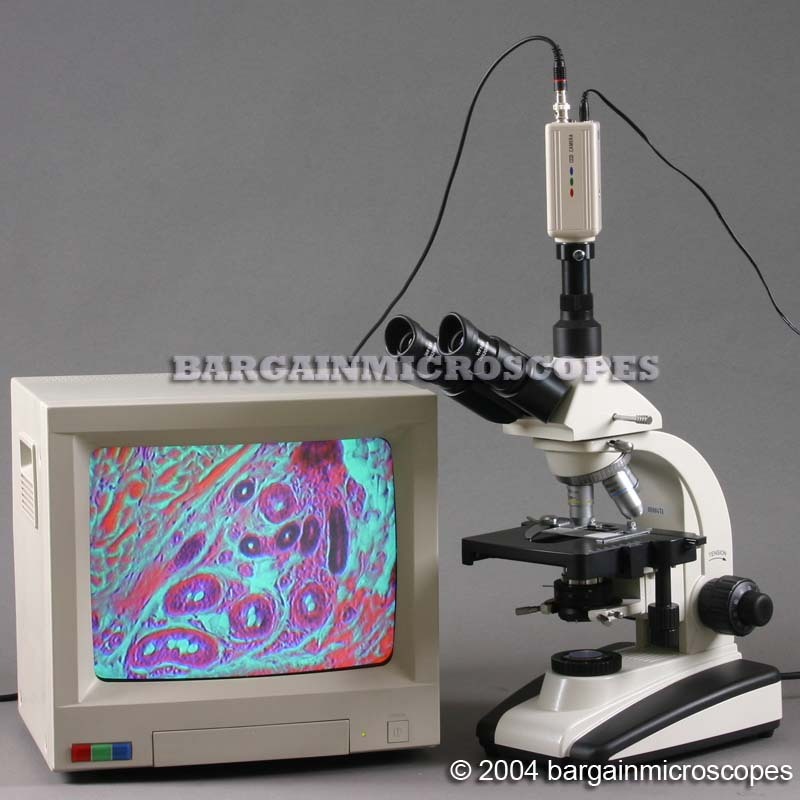 Few Scopes have the More Expensive Koehler Illumination System. 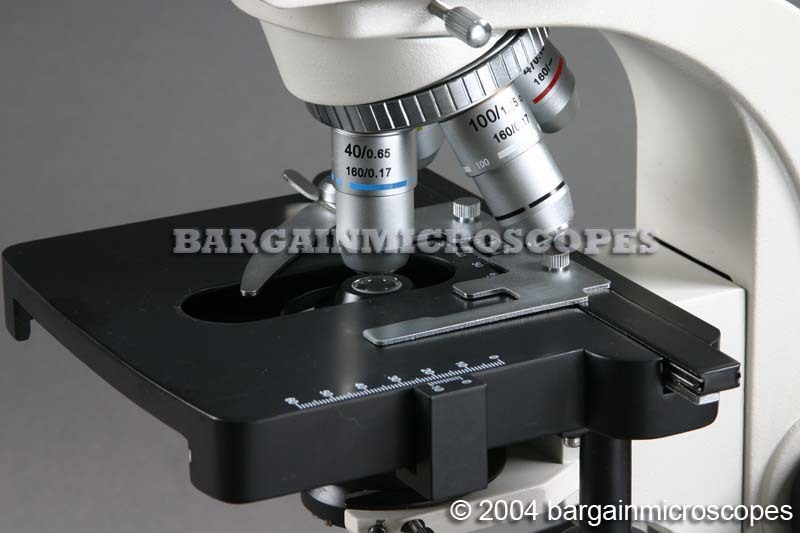 If you see a Cheaper Scope, ask if it has Koehler. Large Graduated Mechanical Movable (up/down and longitudinal Y-direction) Stage: 153 x 145mm. 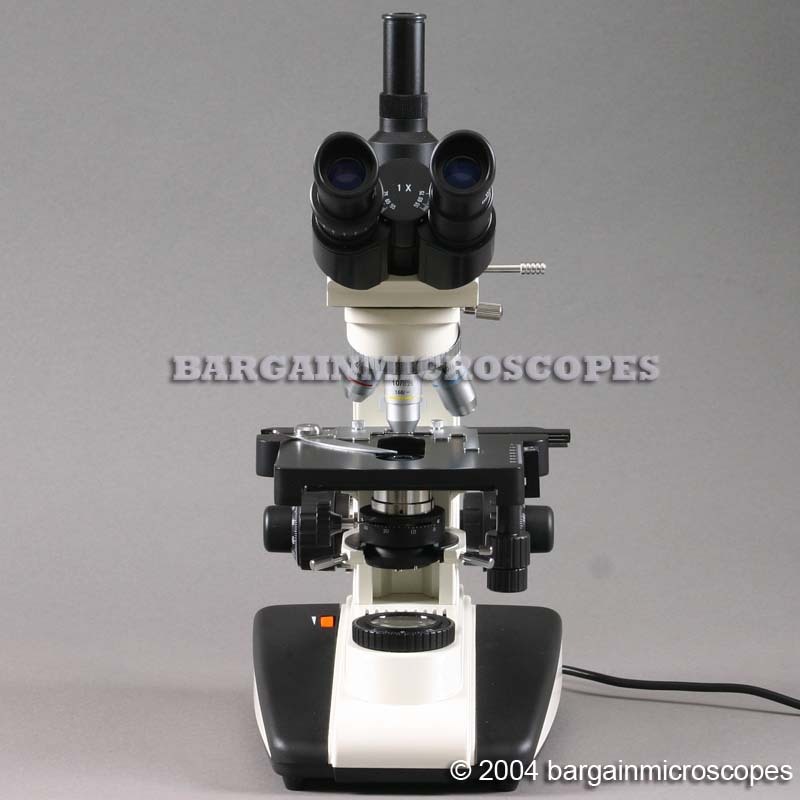 Total Overall Height of Microscope: 495mm. Includes: 1x cmount (for ccd camera), phototube, instructions, dust cover, bottle of immersion oil, spare 30W halogen bulb and fuse. Cupping Rubber Eye Guards for Blocking Stray Light.